from migration to back rows to basketball game. 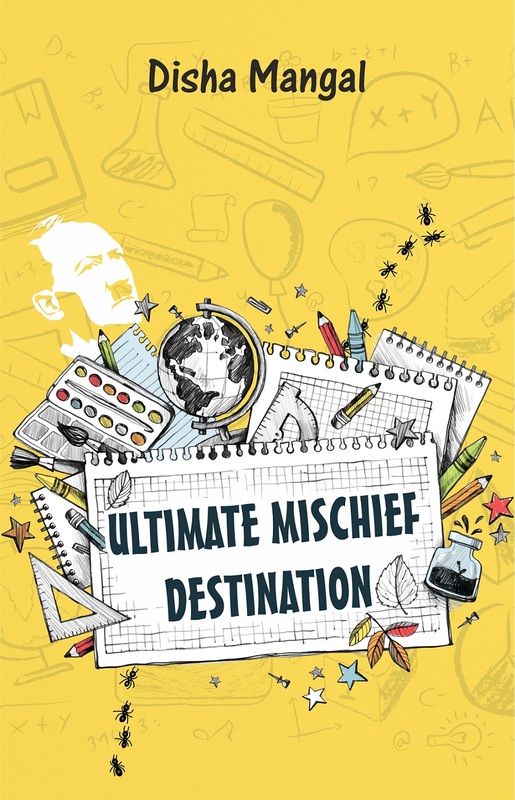 The story includes her interesting set of teachers interacting with her peculiar friends in the queerest possible situations which will make the reader laugh and dive into their memories. A fictional work which is a combination of mischief, sweet memories and laughter. Disha Mangal is a sixteen year old Bhavanite, a bubbly young writer who loves to be in company of books and her friends. She enjoys wearing different hats. Disha is an avid reader and a passionate writer, a star performer of her school and also a trained Kathak dancer. She dreams to travel the whole world and aims to be a writer and an inspiring teacher. She has also written no. of short stories and poems and also writes a blog by the name “thinking through my fingers 2002”. 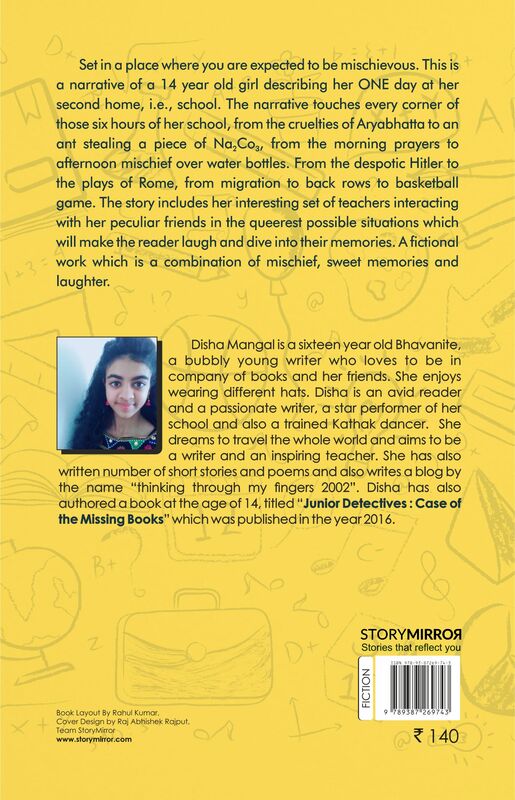 Disha has also authored a book at the age of 14, titled “Junior Detectives : Case of the Missing Books” which was published in the year 2016.